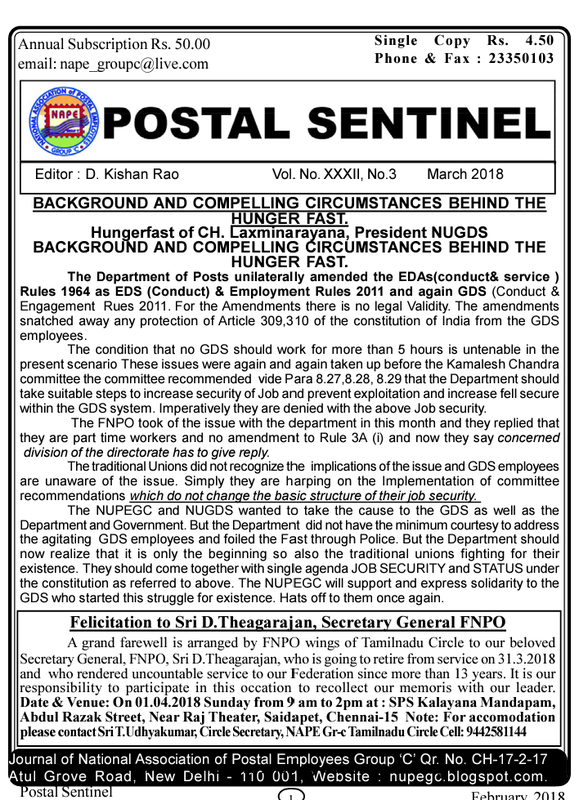 Postal Sentinel - March 2018 : NAPE Group'C' CHQ. Postal Sentinel : NAPE Group'C' CHQ. Grand Felicitation to our Secretary General FNPO Sri.D.Theagarajan on 1.4.2018. 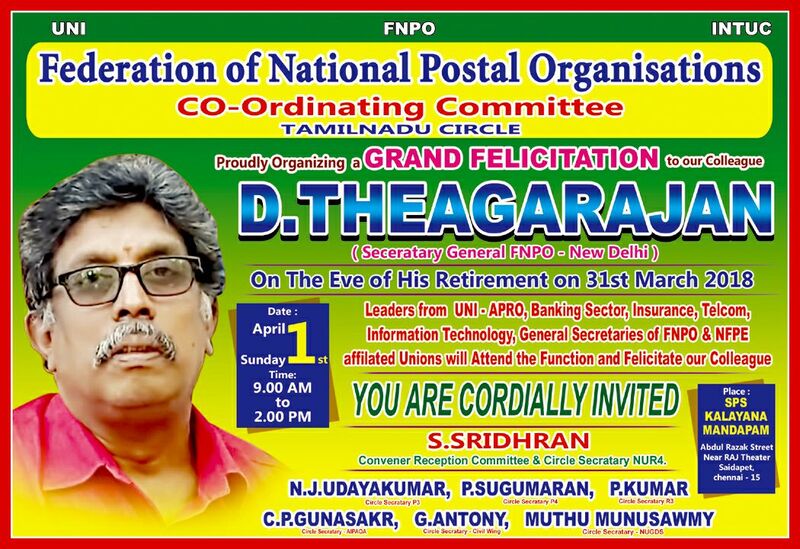 Felicitation to Sri D.Theagarajan, Secretary General FNPO. A grand farewell is arranged by FNPO wings of Tamilnadu Circle to our beloved Secretary General, FNPO, Sri D.Theagarajan, who is going to retire from service on 31.3.2018 and who rendered uncountable service to our Federation since more than 13 years. It is our responsibility to participate in this occation to recollect our memories with our leader. 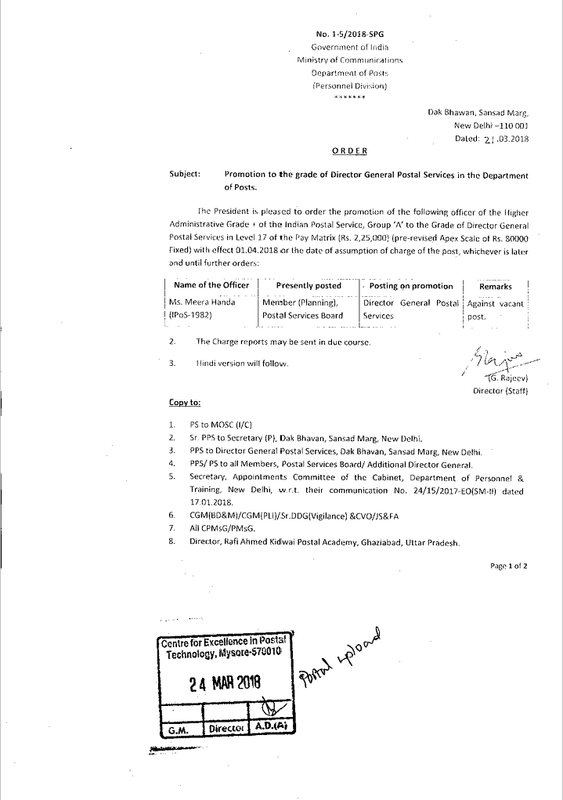 Promotion to the grade of Director General Postal Services in the Department of Posts.